Trying hard to build your brand a success?? Tried and tested everything? Well, It takes a lot of efforts to brand your product or service. But, with the right strategies it can be made easier. For instance, have you ever tried to use toll-free numbers? Being a businessman you should know, what is the importance of a Toll-Free number. Research shows a Toll-Free number can improve the image of business drastically. These numbers allow your customer to contact you, without any charge and also encourage the customer to call you and ask any of their queries. These numbers have a lot of benefits. If you are dealing with customers on a daily basis then Toll-Free number is the best option you can have. It also provides the best service to your customers by allowing them to call you for free no matter where they are located. A toll-free number are very valuable and a great marketing tool which can improve sales by 30%. It gives your business a global presence and helps in branding. 86% of consumers believe an 1800 number connotes a quality product and customers are more likely to trust a business that has an 1800 number. 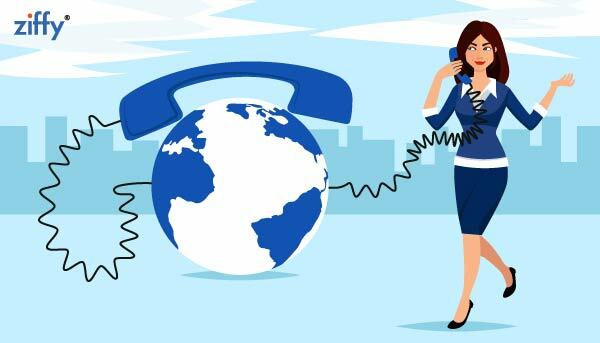 Your customers are very important for your business and it is also very necessary to take care of them at every stage by being available to them conveniently and by giving them a facility of a Toll-free number. They can able to call you from anywhere at any time and it won’t cost them extravagant. The easier you make your customer reach you, the more likely they will remain. This service will definitely prove valuable to you as customers are the key to any business to reach higher and making them easily accessible is what these numbers help. Toll-Free numbers are easily portable. With a Toll-Free number, location doesn’t matter. You can easily relocate to anywhere you want and can be reachable by the same regardless of where you are located, simply by forwarding your calls to your cell-phones, or any other devices. One thing to note – once you purchase any number, it is yours permanently even if you change your providers. These numbers are a great platform to improve the professional image of your company. It also adds credibility and builds customer satisfaction. Small and large company owners around the country know that providing their customers with a professional image is the key to enjoying long-term success. This is a better and easy way to make your business grow more. Well, this is the best thing everyone wants to do! When someone says “you just have to pay for the thing you use” makes our day!! We just want our money to be utilized in the best possible way. And this benefit is being offered by Ziffy Toll-Free Numbers. You ought to choose these 1800 numbers as it is simple, affordable and easy to use. When you are trying to decide between a local number or a toll-free number for your business ask yourself “How I am trying to position my business?”. If you are viewing it as a larger business, then the toll-free number is a way to go. And if you are looking to have a local presence and only receive a few distance calls, then the local number is right for you. These things make national, as well as international presence, felt more. Lastly, what you get at the end? This helps your business to achieve its target by increasing productivity. You know, when a client adds an 1800 number to their advertisements, they increase their response rates by 30%. These Toll-Free numbers increase the productivity of your business and also create a more memorable impression for you. Starting a business can be a financial reward but it is really difficult for the entrepreneurs to manage all the things. They will likely to face a number of hurdles, especially, with the communication while running their business. With these benefits, you can rejuvenate your business and grow well.